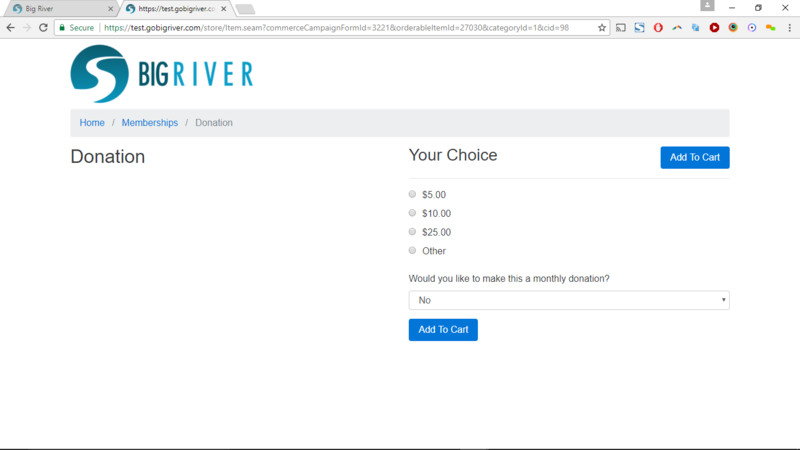 Since the earliest days of Big River, you’ve been able to create Multiple-Price Options, price models that prompt the user for a selection – member/non-member pricing, giving levels or selecting an event package from multiple options. All these had in common some prompt to the constituent and a price per option. But setting up and maintaining multiple price models was a pain. You had to create a custom dropdown. Once there were levels you could not edit the dropdown names. And the whole model was limited to fixed amounts. 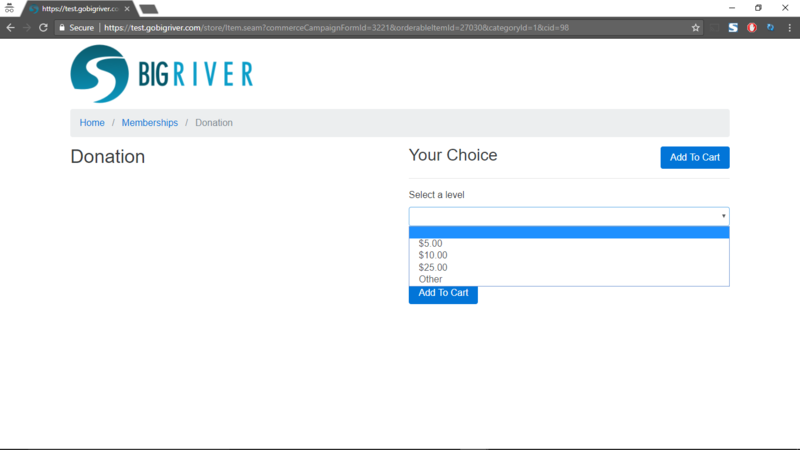 So given input from multiple customers, and our own fundraising experience, we retooled the multiple pricing model. 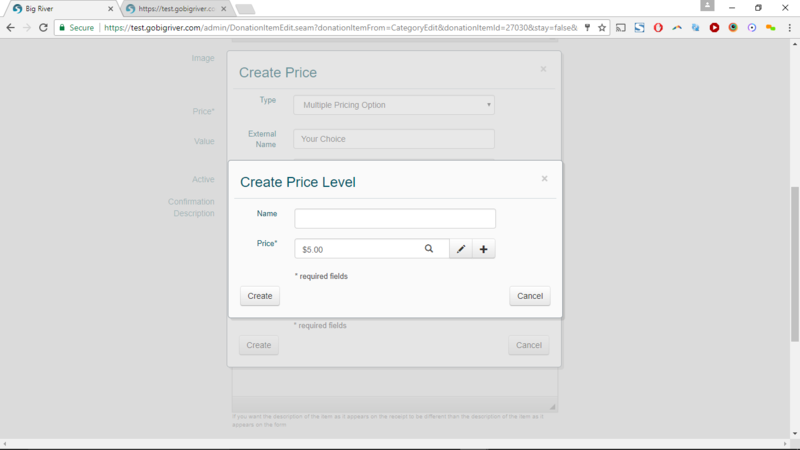 Price levels are simply specified by name and price – no need to create custom dropdown property. 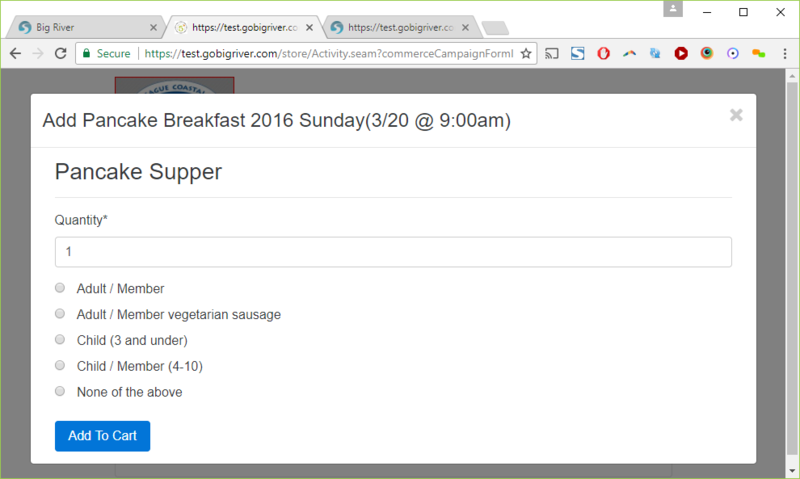 The naming and prompt on form are clearly visible and easily editable. Variable price levels, free, round up models, etc. can be added as options. 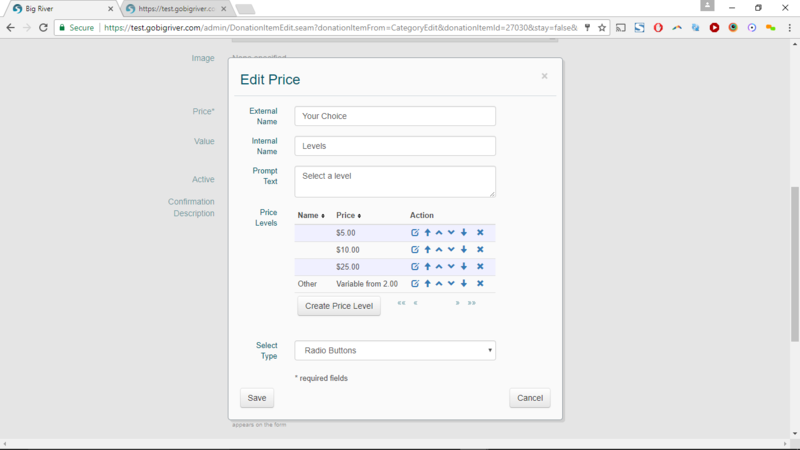 The control on the form can be a dropdown or radio buttons. Radio buttons can be arranges horizontally or vertically. 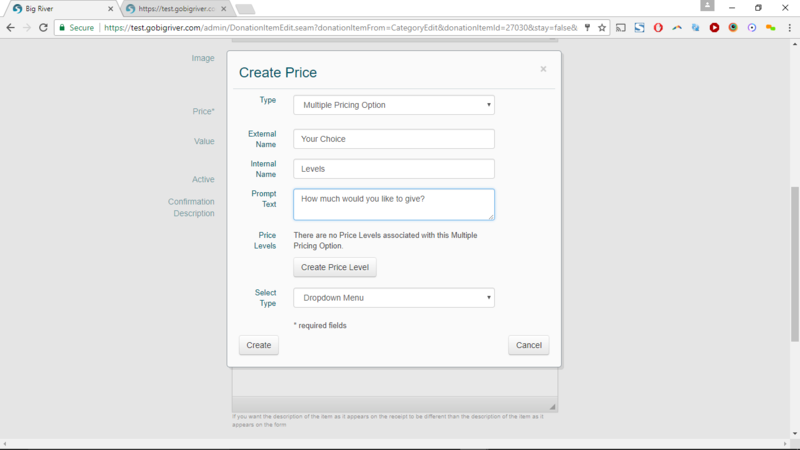 Price levels can have a name or not – if the name is given it will be part of the option presented to the constituent. But you can just select prices if there is no additional meaning to them. Price levels can be edited, reordered or removed using the standard icons next to their entry on the list of price levels. As with the old model, the selected price level is stored in the database, viewable on transaction records, and appears in reports and data integration experts. 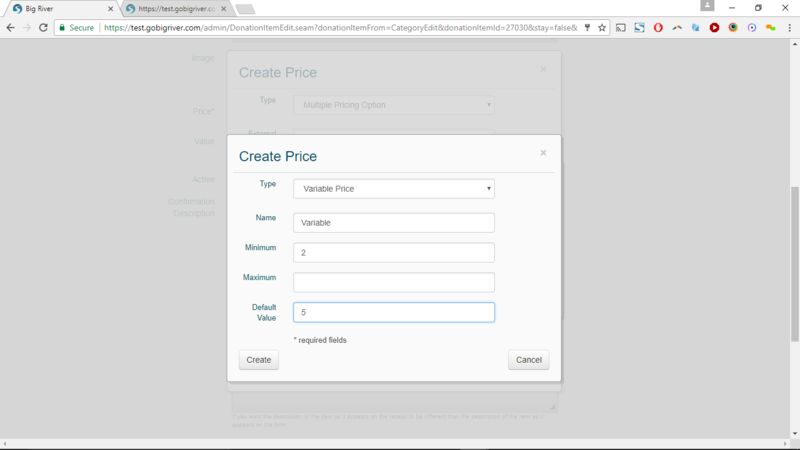 The new pricing models are in the latest update to production, and all your existing multiple pricing models have automatically been updated to the new model, and can be edited using the process shown above. We hope this improves your work in Big River, and we look forward to any feedback on this feature.